On top of their day-to-day work UFU staff in Belfast and around Northern Ireland spent much of 2018 fundraising. Activities ranged from selling calendars and books through to hiking five peaks across six counties in one day and ‘can’t cook won’t cook’ evenings. “People really pulled out all the stops and their activities raised an incredible £186,000. The UFU has pledged £14,000 from its reserves, bringing the official centenary year total to £200,000,” said a delighted UFU president. The AANI charity needs to raise around £2 million pounds a year to remain operational. Daily costs average £5,500 pounds. “It’s a service we all hope we, nor any one in our family, will never need but we will be forever grateful it is there if we do. As UFU president in the centenary year no words can describe how proud I am of the massive effort people put in to prove that what looked an ambitious target was in fact modest,” said Mr Ferguson. UFU past president, Barclay Bell, who chose the AANI charity for the organisation’s centenary year, added that it was impossible to thank individually everyone in the UFU and across the rural community who got behind the campaign to keep a vital service operating and saving lives. “We are delighted with what has been achieved. Our fundraising efforts will fund 36 days of service. 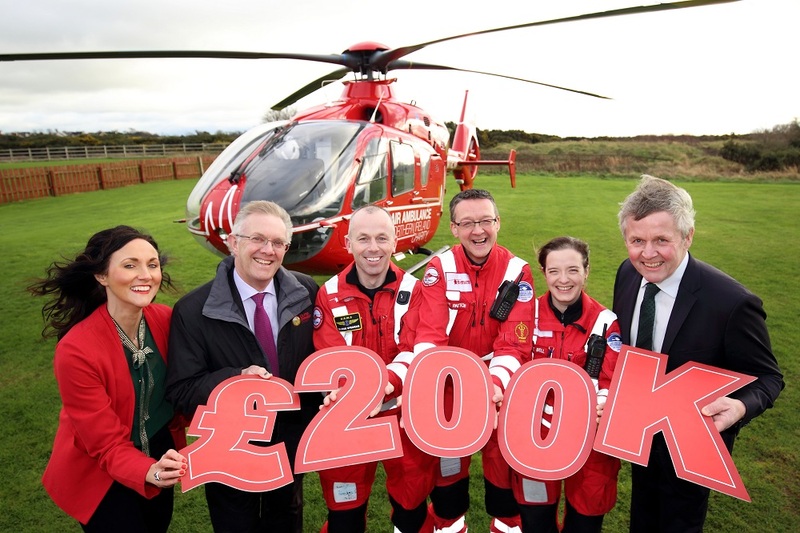 The air ambulance service brings critical care to anywhere in Northern Ireland, fast. It’s already making a difference in rural communities and has been called out to a number of farm incidents. It’s a service that makes people in rural areas feel less isolated,” said Mr Bell.